You are probably in contact with hot foil everyday without realising. Foil printing features on packaging, handles on hairbrushes and make up brushes, the spine of your book, the front of glossy magazines and much more, and of course, not forgetting that luxury party invite that’s coming through all of our doors sometime soon. Foils are not just for Christmas – applied correctly it will last a lifetime! Hot foil printing adds value and a personal touch to the simplest of items and delivers a unique finishing touch. The greeting cards market is probably still the biggest supporter of foil. A Google search for luxury cards or wedding invites will undoubtedly feature foil. From a subtle understated flourish to full on bling, it caters for all tastes. A big mistake when foil is mentioned is that people think of the term gold stamping. The term refers back to the early days of gilding on grand books with gold leaf. The process has moved on quite a bit since then and while there are many shades of gold, there are many other beautiful shades available. Hot foil printing is a simple recipe of 3 ingredients – heat, pressure and the correct foil for the job. If you get any of those wrong, it will result in a poor print. The good news is that it’s not a hard craft to master and with good tuition you will quickly become a professional, rewarded user. Foiling is quick, clean, environmentally friendly and surprising economical. Most foil rolls are supplied on a 122 metre roll. If we take a basic gold foil as an example for costings – a 100 mm wide roll, applying a 100 mm high impression will yield 1220 impressions. The foil costs £6.00 which means each impression costs less than 0.049p – a small price for a luxurious finish. To apply foil you will require a machine and a printing plate – known as a hot foil die/block or stamp. The hot foil die is attached to the machine and heated up. Foil is placed between the die and the substrate to be printed. Pressure is then applied by pulling the handle of the machine to bring the two briefly together to adhere the foil to the substrate. The foil has an adhesive on the back which is activated by the heat and forms a permanent bond to the substrate. There are different foils for different substrates and our suggestion is to work with a reputable foil supplier who will happily advise. There is no such thing as a general purpose foil that sticks to everything! Why invest in a hot foil machine? Hot foil printing is a great way to add a luxury feel to items like letterheads, business cards, catalogues, flyers and product packaging. Although it’s more expensive than your typical print run, the foil effect conveys a sense of luxe and extravagance that’s perfect for high-end boutique brands. Using your own hot foil machine to produce stationery or packaging is more cost-effective than sending individual jobs to a printer, and you’ll be able to control the timing of your production process so that it fits with your schedule. With Metallic Elephant, you can be sure that your equipment is built to last. 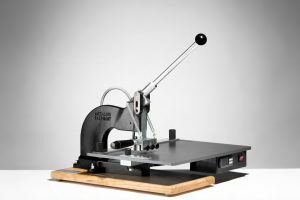 We are the only UK manufacturer of hand-built hot foil machines. Choose from our KSF range or modify one of our models and bring your vision to life with a bespoke machine. Our highly skilled engineers are also on hand to carry out maintenance and repairs on site or at our state-of-the-art Essex-based workshop. 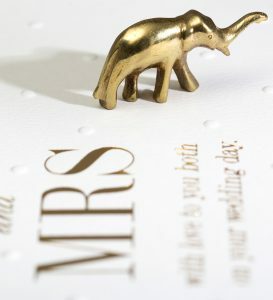 At Metallic Elephant, our mission is to supply high quality products at competitive prices, while remaining true to British heritage and craftsmanship. 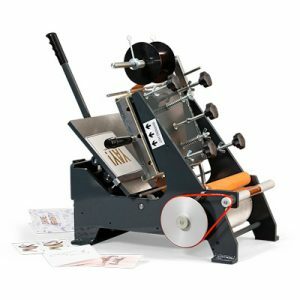 Whether you’re creating a new letterhead design or producing luxury packaging, our hot foil machines and dies (hand-etched with precision in brass or magnesium) are guaranteed to create the high-end artisan effect you’re looking for. As well as producing our own hot foil dies in-house, we also work with premium manufacturers to supply a range of foils to help you achieve a metallic effect that’s just right for your brand. To find out more about our hot foil machines, dies and foils, contact us via our online enquiry form or call us on +44 (0) 1206 251221.